Do you work for GitLab? Learning about GitLab? We can help. "The best way to manage your projects"
"Powerful team collaboration tool for managing software development projects"
I like the ability to immediately bring people into a conversation on a discussion thread just by tagging their name. I like that there's issue tracking, documentation, and a code repository all in one spot for my projects. I also really like the ability for each team member to fine tune their notification levels so they aren't spammed by every change happening to every issue/ticket all day long. There was a bit of an initial learning curve to being able to really use Gitlab effectively, that is perhaps just the nature of the beast, however. Fully searchable comment threads would also be useful but that's not a current feature (looks like it's on the roadmap though!) Aside from that, while I like that Gitlab uses markdown, I feel like the editor window itself is less than stellar if you're relying on it to help format your page, particularly if an individual is less familiar with markdown. Some sort of pop out quick reference guide might be of more use than the editor as currently prescribed. Several of my colleagues have gotten frustrated attempting to format items thinking that the editor will function as a WYSIWYG, which it does not. Git has become an industry standard as a code repository. GitLab is an incredibly powerful tool for managing internal software projects. I would highly recommend giving GitLab a good trial run to see how it can fit into your development workflow. We develop software projects utilizing the scrum methodology with a geographically distributed team of people. GitLab allows us to maintain a repository of our codebase and work as a cohesive team through code review, merge requests, easy issue refinement, and weighting all while working towards our current milestone. I have used several online repositories besides GitLab but in the end I chose to stay with this one because it offers many more advantages in its free version than the others, although I currently pay the subscription that was the reason why I initially use Gitlab. Gitlab also offers different themes to change the way your repository looks. Normally when an application offers too many advanced options it makes the same mistake and it is that it organizes badly (in my opinion) the options and creates a saturation or sensation of it, in some menus there are too many options. I recommend using Gitlab, especially if you come from other repositories in the cloud that are gitlab competition because the application offers many options in your dashboard and the free version is somewhat more complete than its competitors. I was looking for an alternative to maintaining a local or remote repository on my own servers since its management is much more complicated and it took time to complete the projects. Gitlab manages the repositories and offers to use them 24/7 without interruption. It has been a long time using this product. It's by and large a privatized interface, so just extremely noticeable for our organization. The real GUI is really prettier too which is pleasant. Exploring to specific pages is a little less demanding as well. Clearly, having adaptation control for programming advancement ought to be a necessity, and it's superior to SVN which a portion of our senior associates utilize. Scanning for particular code/contents on gitlab gives off an impression of being less demanding. They continue adding highlights to their item, which is decent however can be somewhat overpowering for new users. They've completed a great job at mapping everything out, except I feel there ought to be an alternative to just show key highlights rather than the whole suite of highlights. It would make it less demanding for new users to become acclimated to and locate the fundamental highlights, and, once they're agreeable, they might have the capacity to investigate more highlights by observing the whole suite. Their organization is 100% remote, and the majority of their interior documentation is distributed freely so anybody can seek it and submit changes back. This incorporates the majority of their HR documentation. I exceedingly esteem the way of life of an organization when I'm assessing working with somebody, and this organization ticks all the crates for a solid culture fit with my organization. "GitLab is the best version control system for students." It is the best version control system that i have been using since collage. It's free and it allows me to collaborate efficiently with my fellow coders and friends. Now I run a software company and I have been using it ever since. Free version is great but the paid version provides you with extra needed security and is more fast. I am currently using the gold package and it comes with all the functionalities that an enterprise could ask for. They also provide you with a beautiful security dashboard and portfolio management. The storage space could have been a little more so we can store more projects for free. It's free version is better than some other version control systems available in the market. It allows us as a company to collaborate and link our project and also allows for the full control of previous versions of the program which is essential especially for new employees. "Excellent strategic vision and execution"
The built-in features of Auto DevOps have made our experience more rewarding and effective. It's still a monolithic application. This is in the process of being fixed, but I'm often worried a failure in one component will take out the entire system. If you want a holistic solution with a strategy around devops, then this is the solution you need. It provides a lot of native support for devops collaboration. The company also embodies devops and an open and transparent culture. Their company is 100% remote, and almost all of their internal documentation is published publicly so anyone can search it and submit changes back. This includes all of their HR documentation. I highly value the culture of a company when I'm evaluating doing business with someone, and this company ticks all the boxes for a strong culture fit with my company. This tool is able to streamline our entire development workflow. This allows us to inject standard security and compliance gates, create an audit trail, reduce our toolset, reduce the overhead of managing multiple disparate tools and their integrations, and produce customer value faster. "Not more useful than GitHub"
It's generally a privatized interface, so only really visible for our company. The actual GUI is actually prettier too which is nice. Navigating to certain pages is a little easier too. Obviously, having version control for software development should be a requirement, and it's better than SVN which some of our...more senior colleagues use. Searching for specific code/scripts on gitlab appears to be easier. In our integration, we lack several features available on other git clients such as github. The inline rendering of notebooks on Github, as well as the much simpler ability to share with external users is a huge plus for getting feedback and usage information. Also no trending repos to see any cool new ideas people have come up with is a minus. Furthermore, the ease of linking issues/repos/pull requests across other posts is less clear. GitHub offers more features and a much larger base for collaboration. If you need a very specific instance/implementation of git that's more customizable, my understanding is that GitLab may be for you. Probably more useful for confidential code bases. The obvious one- having version controlled software visible to the entire team. Moreso, having the ability to collaborate over large codebases while having wikis and other documentation in the same place, making it easy to figure out how to use other user's software. Lastly, the ability to see WHEN code is updated helps us ensure goals are being met. The only aspect I find annoying is user management. We authenticate using AD and I wished it would allow role based mapping via AD group membership. Right now, I need to wait for someone to sign in and then they need to manually join the groups and projects they need/want. We looked into Microsoft Team Foundation Server, but for our purposes of just storing scripts and infrastructure as code, we found GitLab to just be faster and easier to get up and running. GitLab also runs on Git which is a more widely used source control tool. As far as the setup goes, even if you are not experienced with Linux, it is pretty easy and there is great documentation. The only difficulty may be in getting SSL working, but there is also documentation on that. We use GitLab to control our infrastructure as code, scripts, and documentation. We're also beginning to utilize the CI/CD pipeline for automated testing and deployments. The pipeline is much easier to setup than we thought it would be. Gitlab CI is a revolutionary CI, no need to connect multiple services together (ex. Github & Travis CI). The flexibility of the different types of CI runners (SSH, docker, etc) allows users to customize the experience to their needs. Another advantage of Gitlab over its competitors is the unlimited free private repositories as well as the free CI, you do need to wait for a public runner to be available which makes it hard to debug but its free. CI documentation is confusing, the documentation is all over the place, it is updated but hard to find what you want. Although free, you might have to wait several hours before your CI starts, worth paying if needed. On-site deployed source control management as well as a reduction in the integration of multiple programs such as GitHub with Travis CI or Jenkins. "Intuitive interface to see your code"
The thing I like most about GitLab is the find file feature. If you know the name of any file, you can type just a piece of it and it will show you all files and their paths with that piece of search text. I also really like that you can highlight a line, copy the link and send it to someone. When they open the link, it will bring them to the selected line. I also think the colors used to display the code make it much more readable. Finally, I really like how it shows you the entire history of the file throughout time. The think I like the least about GitLab is the overall search feature. It rarely works and cannot find searched text very easily. When you search for some text, it usually just says "not found". This is different from the overall find file feature, which works great. It doesn't seem to be able to cross search repositories. GitLab allows our team to see the current version of code that is in our master repository. It also lets us see the entire commit history on any file. We also use GitLab for version control and recovery of code. We use it to merge branches of individual work into the code base. First off, I love that it's free and is an excellent alternative to GitHub. I like that I can make private repositories for my own personal projects instead of having to publicly share code with a group, which as a newbie can be a bit intimidating. (Especially since I'm from a design background, not entirely coding!) The pricing scale is good and reasonable, for as many users as necessary. I'm currently learning Python and it helps greatly that there a few API clients I can choose from. The "code review" system is very good. I really like the UX/UI of GitLab. It's visually clean, functional and is supported well. Not much, but I had a bit of a hard time shifting from GitHub to GitLab. (I wish they named their product something a bit easier to distinguish, but that's just me.) There were times when the speed of the free version was absolutely ridiculous. When your team needs push and pull requests within a certain time frame and it takes longer than promised, it can be a bit cumbersome for all. Definitely continue to use GitHub too! They're both great for projects, so discover what you and your team can do with both! I can make as many projects as I'd like with GitLab! The free option has been great for practice projects I work on with my husband, and we can do them infinitely. Gitlab provides a very intuative UI for a centralized server to host origin remotes for git repos, it provides a convenient way to track branches, approve/create pull requests, create change requests, etc. The best feature, in my experience is the UI, the visually appealing nature of it lulls management types who don’t know what they’re talking about but would very much like to have a say in what developers may or may not use. The CI/CD setup is a little odd to wrap your head around at first, it’s not hard, mind you, it’s just different than what most people are used to dealing with. The documentation could be a bit clearer. It solves git repo creation/management as well as CI/CD orchestration. We’ve realized having CI/cd and not using TFS any more. I love that they provide an enterprise edition and a community edition that is free unlike the enterprise one. You can host it yourself and be the only one that is responsible for the hosting. The user interface is great; simple, clear and intuitive for both developer and other users. It's well engineered and updated often. It's recommended that you host it yourself, you will have a better time and if you got the spare space for running Gitlab on your servers it's a no brainer. We can host the code of any of our projects using Git and setup continuous integration pipelines for code that is reviewer by other developers easily. "Great experience coming from other DevOps products"
The greatest thing about Gitlab is the ease of use and versatility to run over various platforms. It is being used by a number of large companies in all different industries today. It provides a seamless integration with any system. The user interface enables Gitlab users to access everything from one screen: projects, latest projects. Milestones allow users to set milestones at a group level, rather than just a developer-specific level. The main issue with GitLab is its UII. Various functions seem to be hidden within obscure menus and hidden drop-downs. Not too much of a problem once you're used to it, but for new users, its a real issue. The comment system isn't great, for some reason GitLab stores any and all edits that are made, meaning even the slightest change to a pull / merge comment is stored. Portfolio Management, Project Management: Issues, Issue Boards, Issue Weights, Labels, Milestones, and burndown charts. Source Code Management, Continuous Integration (CI): Pipeline, CI Runner, Jobs, Scheduled Jobs, Testing, Security Scanning (SAST), and Code Quality. Continuous Delivery: Partial Deploys, and Feature Flags. Application Configuration Management: Application Monitoring. Integration - SCM(GitHub), CI: Integrations with Jenkins, Circle CI, Bamboo or other CI servers. CD: Integrations with common CD tools such as Puppet, Chef, Ansible, Jenkins and others. "My favorite Git version control "
The best part about GitLab is the features that allow software development from start to finish. It allows users to easily implement an agile product development style through their issue tracking. They add in new features all of the time! And the website is always changing so it never gets boring to use. They keep adding features to their product, which is awesome, but can be a bit overwhelming for new users. They've done a good job at mapping everything out, but I feel there should be an option to only show key features as opposed to the entire suite of features. It would make it easier for new users to get used to and find the main features, and, once they're comfortable, they may be able to explore more features by seeing the entire suite. I feel there should be an option to only show key features as opposed to the entire suite of features. It would make it easier for new users to get used to and find the main features, and, once they're comfortable, they may be able to explore more features by seeing the entire suite. We use it as a tool to develop, test, build and deploy our projects using an agile product management style. So, we use most of all the features building open source solutions using GitLab to house the source code. Gitlab is a git repository that makes keeping track of code changes easy. The biggest benefit is that it can be self-hosted. The one thing that sets git lab apart from the rest is that it allows for personal contribution to the development efforts. There is also new features being released constantly which makes it easy to keep up with some of the larger repo systems our there. Gitlab also make it easy to manage at an organization level. This means that I can set up repos or groups and have people set up with very specific access. There is not to many things I can think of. Probably the biggest issue is that gitlab can be behind on some features compared to other repo systems. Not all of the more know features in some of the other repo systems out there may not have been considered as important and worth the development effort. The other thing that I dislike is that there does not seem to be nearly as many integrations available as there are with other repos like Github. The self-hosted version is great, though if you do not have the infrastructure or hardware available to host your own version, the subscription version is a nice alternative. Gitlab provides a method to keep accurate change management across code and database development. It also provides a way to log issues and keep track of development todos. The last major benefits is that it creates a centralized way track code and its history. "Gitlab is great for sharing code among peers"
I really enjoy the fact that GitLab makes it easy to share code with peers. At my current job as a Teaching Fellow for a programming bootcamp, our lead instructor does upload the version that he created and for us to use a reference. Having one centralized location for all of us to go and look at solved code is something that is very valuable, as there are times when even we (the TA's) need some help at certain points. I currently don't have much dislikes of gitlab. I feel that it offers pretty much everything that is needed. One problem is the learning curve to get efficient usage out of this service, but that can be said for many more things. Professionally we use GitLab as the centralized location for all of our breakout session answers. In coding there are many ways to answer a question, and the main instructor has a certain way it was done. This is great to reflect upon if we ever get stuck, or to try and analyze to better provide an explanation for my students. Personally, I used GitLab as central hub to track my own projects. Having multiple people work on a single project can sometimes get overwheling but with GitLab's version control it makes this so much easier. Overall I feel that GitLab is definitely a product that I enjoy using and want to use in a professional and personal setting. "Powerful and easy GIT collaboration tool"
Some options aren't easy to find, what sometime makes solving an issue slightly confusing. Protecting branches by default is something that can be confusing at the first time. Changing ownership of a project is not straightforward. Managing user permissions can be confising. GitLab have improved a lot in the past two years, becoming a first option when selecting a GIT collaboration and management system. Is a powerful option that can be deployed both on cloud or on premise without compromise. Allowing private repositories is what makes GitLab shine. Software development team collaboration and source code management. It is easy to navigate the history code, allow the team review changes and comment about them before merging and to work with many projects and git branches. "Gitlab - free and premium"
Gitlab is really easy to use and have quite nice UI/UX. Today they change design a bit and now it looks even better. I need to say, I love Code Review system implemented in this tool. Other thing I really like in this app is big database of integration tools. We connect our self-hosted gitlab with Jira and Confluence and now job goes way better! I thing GitLab is best service for self-hosed solutions. Speed while using free version. I've tested couple of most popular free git services like github and bitbucket. Biggest different I felt while using GitLab was speed of push and pull requests. GitLab was the slowest one.. Sometimes I had to wait about 15s before info in the console shows up, to write my ssh key. But that was about 1 year ago. Maybe now things change. And I have to write this again - speed issue occurs only in the free version, hosted by GitLab. If you want to use git and host your versioning system somewhere in the internet for free I think GitLab isn't the best solution for you. I will recommend to check BitBucket instead (or GitHub if you prefer to share your open source project). Main issue of this version was speed.. About one year ago repos hosted by me on github was quite laggy. But if you'd like to host you versioning system by your own, and create something bigger.. And if you have some money to spend for this, I think GitLab can be suitable for your needs. Code Review and Merging branches works like a charm, I think those are one of the best functionalities. You will also get abilities to install plenty of integration tools. It's helping while using Git Flow methodology in my team. Good integration tools with Slack, Jira and Confluence help to work on project not only for developers but also for the clients. "A feature-rich git hosting solution"
Not only does Gitlab provide all the basic features that you've come to expect from a git hosting solution with an easy-to-use and pleasing-to-eyes UI, it goes much farther than that. It provides a product that you can rely for the entire SDL (software development lifecycle). For example, it provides a capable issue tracker, issue boards, code quality reports for "merge requests" ("pull requests" in Github lingo), built-in continuous integration and continuous deployment and so on! Having this all in one place instead of having to manage a myriad of products is highly convenient. While the UI in Gitlab is good enough, it still isn't as good as Github (a leading rival). It isn't as snappy either. Browse the differences between Gitlab community edition and enterprise edition. If you need the enterprise edition, you should compare the current prices with Github, which is a good solution too. At work, we want a nice self-hosted git hosting solution that costs little and still meets all our needs. Thus, Gitlab community edition is a natural solution (costs nothing, has all the features we need). "Great board for a scrum team"
Using Gitlab is very easy. You do not need a training session to start using it. Also, there is a free version that is quite complete; it is not necessary to buy the bronze, silver or gold version. The user experience of the board is really cool. You can add label and do a search to find specific issues thanks to the search bar. Concerning the free version, it could be great to be able to create parent tasks or linked ones. The other problem faced during Gitlab implementation is the hardware resources needed if you don't want to have something slow. Of course, the main element that we dislike is the price if you want to go further. I Would recommend Gitlab either for a development team or other (non IT) team. It's a good way to build a board that monitors the activity and can forecast upcoming issues. Also, everyone is responsible of its own tasks and become more accountable. We are using Gitlab as we are now working with Agile Methodology. We want to be aware of the backlog, to do, in progress, closed or blocked issues. Each person is now responsible for his issues. The board is a good visual way to see the sprint's status. Communication has been improved. "A great software for developers." For one thing, I cherish that it's free and is a fantastic contrasting option to GitHub. I like that I can make private repositories for my very own activities as opposed to having to openly impart code to a gathering, which as a beginner can be somewhat scary. (Particularly since I'm from an outline foundation, not so much coding!) The evaluating scale is great and sensible, for the same number of users as vital. I'm as of now learning Python and it helps significantly that there a couple of API customers I can look over. The "code audit" framework is great. I extremely like the UX/UI of GitLab. It's outwardly perfect, practical and is bolstered well. In our joining, we do not have a few highlights accessible on other git customers, for example, github. The inline rendering of note pads on Github, and the considerably more straightforward capacity to impart to outside users is a colossal in addition to for getting criticism and utilization data. Additionally no drifting repos to perceive any cool new thoughts individuals have concocted is a short. Besides, the simplicity of connecting issues/repos/pull requests crosswise over different posts is less clear. in the event that you need an all encompassing arrangement with a system around engineers, at that point this is the arrangement you require. It gives a ton of local help for engineers coordinated effort. The organization likewise encapsulates devops and an open and straightforward culture. "The Best Tool for CI/CD and more"
Gitlab's interface is one-of-a-kind. It's really a great looking UI. There is really nothing that I dislike. Gitlab is all about how you "use" the tool. Our team uses almost every single part of functionality that Gitlab offers. Get it! It's the best tool for dev teams hands down. I've worked with it at several companies, and I can guarantee that you will love it and not want to use any other dev tool (even github). The only downside I can see is that it doesn't link to your github repo, which is often times what companies look at. It would be nice to showcase your daily commits on your public github repo from gitlab. Obviously there is a conflict of interest there, so that will probably never happen. When it comes to dev teams, Gitlab really helps boost productivity and provide an-all-in-one place for devs to track issues, fix bugs, and talk about problems. Gitlab has great slack integration too, and I would recommend using them together. Finally, Gitlab's pipeline let's us run all of our testing suite inside of it. It's nice to just have everything "work" so seamlessly. Gitlab makes it really easy for devs to be able to focus on fixing issues and not managing the tool itself. Thanks Gitlab team!! We use it for continuous integration/deployment. We run all of our pipelines through it. We also it for our daily standups. It has the best Kanban board that you can have. The labels/tags make it easy to track tickets/issues. I migrated to Git from Subversion, I haven't looked back since. My primary reason for choosing GitLab was the offer of free private repos (I like to try before I buy). Being able to have real production projects while actually testing out GitLab basically sealed the deal. Despite Github getting all the attention, GitLab pretty much offers everything Github does. My team primarily uses GitLab, private repos and issues tracking. Additionally the platform is constantly being improved. GitLab is definitely worth taking a look at. GitLab needs to improve their social coding features and feel. Github still wins out in this area. I have no doubt that GitLab is very close here. Very inexpensive to get started. For business you can immediately start trying GitLab out with their free private repos. Business wise we moved from Subversion to Git, we use GitLab because it offers free private repos and everything is managed in the cloud. "fantastic tool for development teams"
This product is extremely easy to learn how to use and teach others how to use. Every now and then I end up in with a 3 way merge which can be tricky to resolve. Normally takes a couple times to get it done correctly. Don't see an easy way around these so it is just best to check in your code often to avoid this situation. This is a very good product to use. I use to use SVN so it was an adjustment having a web perspective of the content. I would though suggest finding good resources on administrating the installation and how to customize the features, auto builds and preventing others from pushing code to main branches by accident. Use of this tool allows you to quickly and easily see what modifications have been done to a file prior to the final commit to the system. GitLab is based on Git, a powerful Version Control System tool. It allows to exploit the maximum of file modification history. Gitlab offers great visualisation tools: commit trees, fancy charts... It simplifies communication: you can comment almost everything (commits, files, even line numbers). It also has a neat merge-request features, with code reviewing system. I think GitLab is ugly, it's UI forces users to click a lot, either to access features, or to explore the project files. Also, you cannot add several collaborators as reviewers. Be sure you know what you are doing with Git. You can lose everything really easily! In my job, we use GitLab to communicate on commits: we can send links to a specific line in a file, comment on code... We are also supposed to use it for code reviewing but my coworkers don't seem to be motivated for that. "Decent GIT server if you decide to not use git hub. " Is pretty reliable and handles a large amount of traffic. The ability to tag people and view usable diffs is great. The free version is lacking some real features, such as re-submitting failed merge requests. Also if a merge request is re-submitted it doesn't want to automatically merge on success. The code review features seem lacking. Do a real analysis of whether it is worthwhile to use gitlab as opposed to simply subscribing to GitHub. There is also a lack of features without paying for GitLab. We were replacing our old SVN with a git install, and some of decision makers didn't like the idea of 3rd party source hosting. "Gitlab - git collaboration tool for your team"
The ability to deploy Gitlab on your personal servers, and it work like a charm out of the box. Gitlab becomes a free tool, as you can take the tool and install it on your private servers. This is a great deal to have total control of the disasters that can happen in the cloud. The UI/UX of the current version is not that great. The other competitors like Github or Bitbucket, they are doing great to adopt more users, because of the very nice UI. I think is this is improved, certainly more people will start using it. Mostly research projects, side projects, small softwares, and to backup old projects. Free private repos is the best benefit ! Free and open-source tool with a lot of features from the box. Easy and modern UI, possibility to create public or private projects, everything you need even in free version. They also have a code review system, we did not use though. It's open-source, so as usual with such projects you can experience problems some times, but anyway you just must give it a chance and you will not want to try anything else. As usual code repository, you can share your work with the rest of your team, even if they spread across the world. Merge requests, team management, reports and plans. All you need in one place! "One of a kind solution for a project life cycle"
The only real gripe I have is it's lack of user base. Everyone uses Git, I like this better, I want it to be the be the go-to. The biggest problem we solved was having a one stop shop. before we were spread across different platforms and solutions. Now we are all just in this one space. And in turn the major benefit was being organized and efficient. "Software versioning system with the clearest interface"
The overview if you have many projects is great. It is clear to see what activity has taken place on each project while you were away. The application is updated often and they add alot of functionalities relating to project planning/Agile. The common updates are often accompanied by UI changes, which means that after each update they move some common features around. This is a minor inconvenience, since it means I often 'lose' commonly used functions. Our team uses Gitlab for software versioning of our companies various projects. It allows our team to stay connected on each others progress and provide comments and discussion on issues and code. "The best free git repository manager I've found"
Interface is extremely intuitive and setup is dead-easy. It isn't resource intensive, meaning I can run this on an old linux-rooted chromebook as a secure physical repository for some of my personal experiments. Unlike some other products, administration has been minimal since I've set this up. Git is cleanly exposed, meaning I can hook up other git clients to communicate well with gitlab. Also has a quick and easy zip and download feature for repositories. Has a great issue tracker. The interface could be simplified. I like to see the file structure of a repository when browsing into it, as well as the README.md below the file structure. Instead gitlab tends to show the readme if available, and you manually have to browse to the file structure if you wish to see it. Wish gitlab had an issue tracker app, so I could use gitlab to track enhancements and defects for specific project using an easy-to-use dedicated app. Set it up and give it a try. It's the best free option I could find. Git repository manager that's accessible through a website, free, but can be hooked up to any git clients to manage and maintain git repositories. The main reason that I decided to use GitLab instead of GitHub was its ability to create private repositories for free. This has been my favorite feature since day 1 because it allows me to secure my source code while still being able to use GitLab's easy to use management service and online source viewer. The only problems that I've ever experienced with GitLab in the past were outages. Most of them are relatively short when they occur, but one particular outage lasted almost an entire day because a large amount of production data was removed. I, however, was not personally affected by this. Additionally, project icons have a fairly small maximum size. This isn't a major issue, but it is still somewhat annoying. I strongly recommend downloading the unofficial Lab Coat for GitLab app if you have an Android device. It isn't an official app produced by GitLab, but it is a convenient way to quickly view projects on the go. GitLab gives me a place to ensure that all of my source code is backed up and protected. Like most version control services, GitLab also lets me easily manage different versions and branches of a single project in case I need to make changes without altering the entire code base. 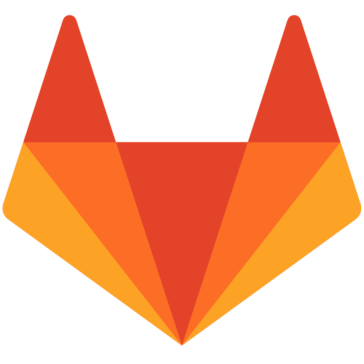 "Gitlab - Review in detail"
Gitlab is a great tool, loosely based on github, to share, collaborate work. It allows easy upload of your work, retrieve others work and base your work on theirs instantly. Great command line tool. Allows creation of tickets (issues), and also auto resolves the issues once code has been checked in. Allows public and private repo which is great. The UI is also great, with drag and drop features in many areas. 1. Merge request allows only one reviewer. 2. Code rebase in UI never works if it is behind by more than one commit. 3. Through UI, you cannot drag and drop multiple files. This is bad as even github has this feature. Try it out, has pretty good UI features combined with command line git commands. Must know for any coding novice. Everyday source control with 20 odd team members is done through gitlab. Never has anyone lost their code because of a gitlab flaw. We are just implementing and trying this product out so far the feature that stands out the most is the integration service GitLab CI which can run automated tests after each commit and also automated staging deployments once those tests have run successfully. This is very useful for our testing servers and saves us lots of time since we do not have to manually do this process every time. It basically comes with all the functionality of git which we use at our company which is great. We started using issue tracking which is useful for pointing out bugs in the software so the right developer can fix it. UI is a bit clunky for users, to many clicks for simple tasks. Mattermost is the choice integrated chat, I would rather have slack. We are trying to pull all our processes together into one platform (Version control, issue tracking, planning, automatic builds, code reviewing). We realized GitLab does fill some requirements but I feel GitHub is the better option. "the perfect alternative for github"
simple platform, intuitive use. If you know how to use github, you can use this platform too. It's the best choice for your team code, because you can have private developments easier than github. Sometimes it's down, but you can work at your local codeand wait it's up again, it isn't a big bug. If you need a good control version tool and it's terms are designed for companies who needs private developments. It's a good version control tool and I always need a remote copy of my code for a lot of purposes. I code closely code for a lot of clients, so it's easy for me get a version of code and make a few changes for other client. The speed at which features and updates come out is great. The deployment pipelines are flexible and powerful. The interface ticks all the right boxes, intuitive, powerful, and clean. We do sometimes have issues where jobs will rerun for what seems like no real reason. This is probably very likely because we have something configured incorrectly but it's hard to say because the documentation in this area (the pipelines) seems to be a little scarce. We also sometimes see performance issues when multiple jobs are running, from time to time you will have to wait to get results from the pipeline tests. Gitlab has allowed us to improve collaboration. It provides us the extremely important repository for source code that every developer needs. Gitlab and Puppet work very well together providing flexibility we need to deploy our code quickly and efficiently. Gitlab also provides us a convenient way for other teams to view our code securely and easily. "The best online git experience I have had." The available suite of tools is extraordinary. Though github has taken all the hype, the fact that I can host any type of repository free of charge is absolutely fantastic. GitLab leaves nothing to be desired and is the only place I now use for online repo. The user interface and management can be a little clunky in certain areas. For example, the way the sidebar changes on context makes it hard to know where I am. I would like to see some polish in this area. I was hired as a contractor to evaluate the current cost climate and flexibility of repository services. Because they offer additional services including on-premise services, gitlab allows you to grow in any direction you need. This has been by far the best transition I have made for myself, and it was the choice made by the company that hired me to evaluate current offerings. I can't recommend it enough. Being an independent developer, cost and accessibility are huge issues for me. being able to share a project with a customer and allow them to participate in the wiki and the development process has changed the way I do business. It also allows me to collaborate with colleagues on a per project basis very easily when I need extra help. It has solved my cost issues for my needs by being free.